The winners of the Global Music Awards have been announced. 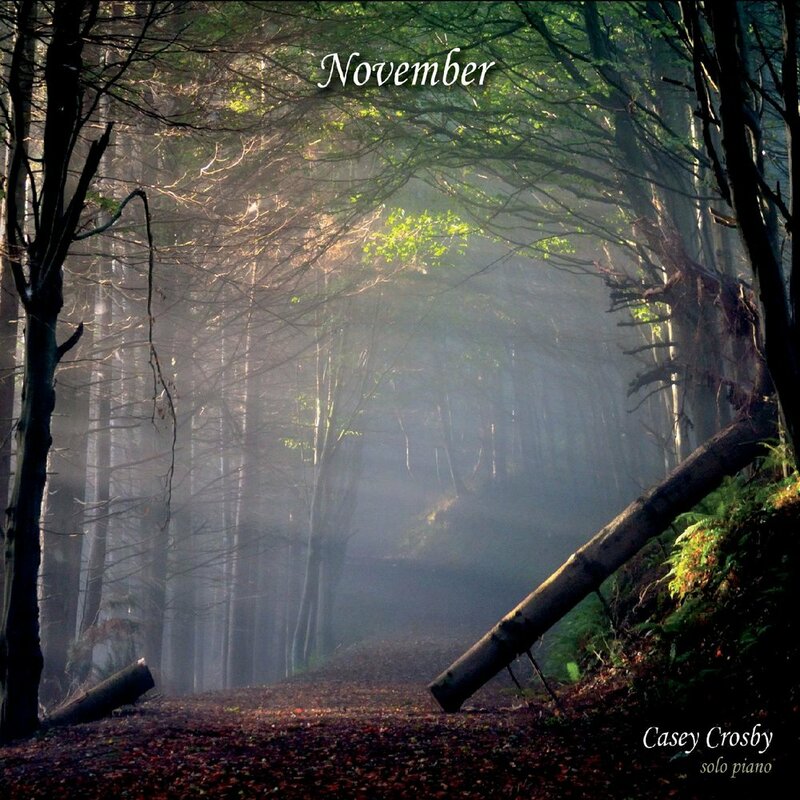 Casey Crosby’s solo piano album “November” was awarded with a silver medal for outstanding achievements. The album cover picture was taken by Irish photographer Bernie Carney. The winners of the Global Music awards have been announced: The album “November” by solo pianist and composer Casey Crosby won a silver medal for outstanding achievement. The Global Music Awards is a well-known international showcase for original music, unique voices and emerging artists. Entries from all over the world and all genres go through a multi-layered judging process including listener impact, technical quality uniqueness and styling. Artists and composers with outstanding emotional communication, the ability to transcend, to make the listener experience something that is new and compelling, who surprise and move an audience and transfer musical joy are honored with a Global Music Award. Crosby grew up in the Blue Ridge Mountain region in Northern Virginia and Upstate NY in the United States. Aged ten, the son of a Baptist minister heard Beethoven’s 9th Symphony on his grandmother’s record player and begged his mother to get him music lessons. His parents had a Wurlitzer electronic piano in their bedroom and so Crosby was allowed to take piano lessons every Wednesday after school for 50 cents. Soon he discovered his affection for the instrument. Crosby studied piano, organ and composition, toured through the USA as a young concert pianist, was signed as session and tour pianist to various record labels, worked with different artists from all genres of music and travelled the world as a professional pianist. Crosby lived and worked several years off and on in Ireland. He would sometimes perform in Cork County. After visiting Marlogue Woods he was fascinated with its mystic beauty. Marlogue Woods graces now the front and back cover of his award winning album. Irish photographer Bernie Carney took the two beautiful pictures. When looking for a cover picture, Crosby came across the picture online and made his manager search for the photographer. After a couple of hours of research, the picture was found on the Facebook page of Carney. On her page was a moving and beautifully written tribute to her dog Ruby, who had died recently, with a picture of the dog on the same trail as the cover picture. As an animal lover and cat owner, Crosby was touched by the words about the loss of the beloved pet. Ruby now graces the back cover of the album. Crosby donates part of the proceeds of “November” to animal charity. He named his animal charity “The Ruby Fund” after Ruby. Most songs on the album are inspired by childhood memories of Crosby and reflect his observations and images of personal experiences and memories of autumn growing up in Upstate New York and the Blue Ridge Mountain region, but the first track is titled “Marlogue Wood” and is inspired by the beautiful wood and the touching tribute to Ruby by Carney. Behind every song is a story and behind every story is a memory. Critics say, that he tells stories at the piano and use words like “magical”, “mystical” or “melancholic” to describe Crosby’s music. Crosby is thrilled with the award. The album means a lot to him personally since nearly every piece is inspired by a childhood memory. Giving the audience an emotional message is crucial to Crosby, who has been honored now with a Global Music Award.